Tesla (NASDAQ:TSLA) has hit a major milestone, by delivering 200,000 electric cars to U.S. customers. That’s obviously good news for the company and TSLA stock investors. However, that success comes with a downside. The $7,500 tax credit for electric cars that helped entice buyers will be cut in half starting Jan. 1, then reduced again on July 1, 2019. News that Tesla will be losing that big carrot pushed Tesla stock down 1.7% on Thursday before it recovered to close down less than 1% on the day. Currently, customers who buy one of Tesla’s electric vehicles — the Model S, Model X or Model 3 — are eligible for a $7,500 federal income tax credit. However, Tesla confirmed yesterday that it has hit a key threshold: the delivery of 200,000 vehicles to U.S. customers. That’s the sort of news that the company would normally celebrate and that would help to put some bounce in TSLA stock. It’s certainly better than many of the headlines about the company this year. But in this case, the big numbers come with a significant cost. The clock is now ticking on that $7,500 tax credit, which will be phased out starting next year. Tesla updated its Electric Vehicles Incentives information page overnight to reflect the situation. For vehicles delivered before Dec. 31, nothing changes. Those buyers still get the full incentive. But on Jan. 1, the tax credit gets cut in half to $3,750. And on July 1 of next year, it gets cut again to $1,875. In the grand scheme of things, losing the $7,500 tax credit probably isn’t a big deal from someone who is willing to shell out $80,000 or more on a Tesla Model X. But on a $35,000 base Tesla Model 3 (assuming the company will actually sell you one), that $7,500 makes a huge difference. Part of the selling proposition of the Model 3 has been that you could pick one up by effectively paying just $27,500 –performance, luxury, technology, prestige and no more gas pump, at a cost that’s lower than the average new car price. The phasing out of the incentive hits Tesla in two ways, however, both of which could impact sales –and TSLA stock. Tesla is the first electric car manufacturer to hit the 200,000 threshold. This means rival electric cars like General Motors (NYSE:GM) Chevrolet Bolt will have a price advantage over Tesla because they continue to receive the full credit (at least until they also hit 200,000 deliveries). Companies like BMW that make higher end EVs that compete with Tesla in the premium market will also continue to enjoy that tax credit advantage. 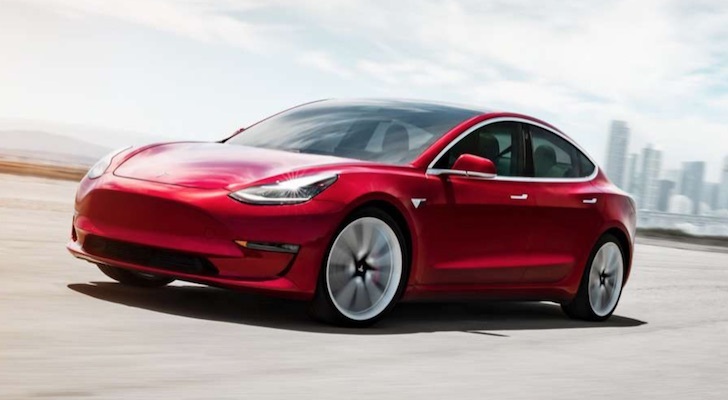 The second issue is that with the phasing out of the tax credit, the base Tesla Model 3 becomes more expensive than the average gasoline-powered car. That will make it harder for the company to convince average consumers to make the leap from their current ride to a Tesla. The company has said the mass-market Model 3 “that an average Joe can afford” is the key to its long-term success. The phasing out of the $7,500 tax credit is likely to hit hardest at the lower end of its product range, making the Model 3 less affordable to those average consumers it needs to attract. And if the Model 3 stumbles, that means trouble for Tesla. That’s why TSLA stock dipped on the news of hitting 200,000 cars delivered, rather than the milestone being a celebration. Article printed from InvestorPlace Media, https://investorplace.com/2018/07/tsla-stock-hits-200k-cars-loses-half-of-buyer-tax-credits/.